Whoa it`s now become Subside...a rock and indie bar open till very late at a price. Hope it`s a success - rock on! This used to be called the Barrel Organ back in the day, a live music, indie, rock venue that to my mind deserved legend status. So whoever bought it for whatever reason and turned it into an Irish theme bar all those years ago cheers! 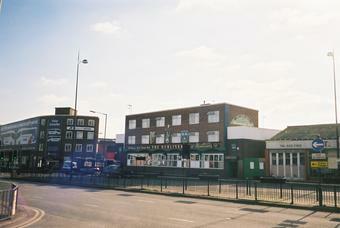 It`s probably one of the most depressing pubs I`ve been into in Brum and I`ve been in a few believe me! I don`t like to be so negative but it really doesn`t have much going for it at the mo...shame. The bouncer shot himself in the foot. Even rough people think this is a rough pub. Someone get shot outside here at the weekend. BBC and local papers haven't said if any customers were involved.